Confession. This is the first time in a full week that I actually signed into my Blogger account. If you wrote something beautiful or witty or funny last week - chances are I didn't read it. Not for lack of wanting. I just simply have been without the time to do it. I need to have a tag for my posts in which I talk about not having enough hours in the day, but for now - just know this is one of those kind of posts. Validation is a wonderful thing. So wonderful, in fact, that when our administration took special note of the validation training my DBT team did, I volunteered to help put on a training for the entire facility. Fast forward about a year and a half later and I had to make good on that offer. These trainings had to be given during all 3 of our shifts, which meant that several times in the past week, I had to get up at 4:30 am. Being lucid for a training before dawn? Difficult. Writing a witty blog after it? Forget it. AND, to make matters worse. The lack of sleep made me lose my voice something terrible and after a night of coughing my poor little head off, I took my first sick day of the year. No. Seriously. OF THE YEAR. Yes. It is a never ending job. And to make matters worse, after a seemingly overnight growth spurt, The Incredible Hulk (he's my son, in case you forgot during my extended absence), needed all new clothes. Seriously. Nothing fit him. All of the sudden. But, this couldn't happen during a time when the weather stayed a consistent temperature. NO. It happened when a temperature swing of about 40 degrees Fahrenheit is just about the norm. Which means I went out and purchased a full wardrobe and washed it all - only to turn around and have to buy another full wardrobe and wash all of that. I completed all of this around the same time I realized he was already growing out of the size I bought. Someone. Make it stop. A few months ago, I got this great idea to make a quilt out of TIH's old receiving blankets. It is seriously the best thing I've ever done. However, it takes a lot of work. And time. And a lot of patience. Our Cups Runneth Over has expressed interest in doing a blog post about the project - so at least that's something for the future of blogging. I'm even in the process of picking out a sewing machine. To buy. ME. The most undomesticated person in the whole history of ever. Oh, yeah. Them. It's probably important that if I'm going to write a blog about the life of being a wife/mom, that I should actually...be a wife/mom sometimes. Like crack. In book form. In truth, they are not stupid. They are wonderful. I actually have had to physically restrain myself from getting the third book so I can get some freaking stuff done around my house. I read the last 5 pages of the second book sitting in the church parking lot before Mass. It's just ridiculous, my friends. I recommend them to all of you. I also recommend that you write a formal apology to your family and friends for ignoring them for the next few days. Because you will ignore them. So, consider this my formal apology, blog world. I have dropped the ball of being a blogger in this ever-present juggling act. I swear, I trying to pick it back up. I love you all and I am slowly working on reading your lovely posts, maybe even writing some comments, and getting back to all of your emails and correspondence. You know I could never be away for too long. I mean, until I get my hands on a copy of Mockingjay. OMG the growth spurts. They still astound me, and she is almost 2! She just had one and outgrew everything in a week. I swear she grew three inches! The growth spurts are crazy! My little monkey outgrew everything when we were on vacation last year! We spent two weeks in Florida with my mom, and about 4 days in, NOTHING fit her that I had brought! I had to buy her all new clothes.. and then lug everything back home.. it's crazy! 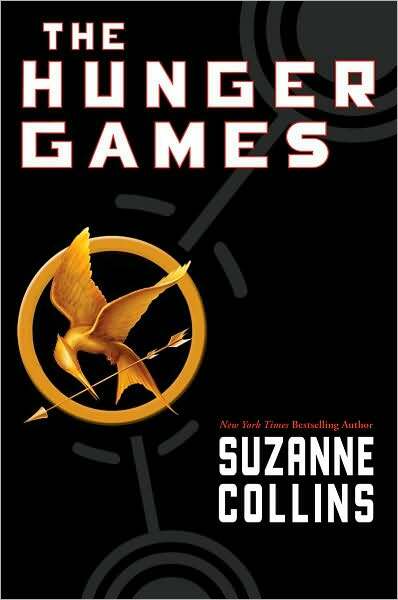 oh my goodness, I just wrote on my own blog a few days ago about the Hunger Game books and said pretty much the exact same thing! (see it here-- as if you have time to read other blogs :)- http://onemorebabystep.wordpress.com/2011/09/13/leisure-time-wars/) They caused me to avoid doing pretty much anything else of much greater importance. Kudos to you for holding out and not getting the third. I didn't have that willpower. I just found your blog and I love it! 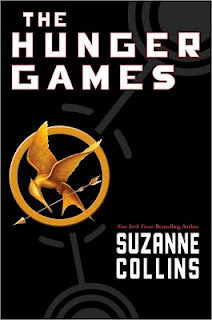 I have to agree about The Hunger Games books...I read the first two in about 6 days of staying up until 2 in the morning. They are awesome! I read the third already and you won't be disappointed!